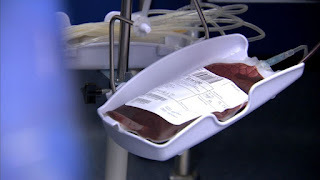 The Prime Minister has ordered an inquiry into the contaminated blood scandal which has left 2,400 people dead. Theresa May told the Cabinet that she and Health Secretary Jeremy Hunt had decided an investigation was needed. Details of the UK-wide inquiry have yet to be finalised, and consultations will take place with those affected on the best way to proceed. The Prime Minister's spokesman said: "Jeremy Hunt said that 2,400 people had died and it was necessary to establish the causes of this appalling injustice."